Whether you want to learn how to prepare your own financial statements (or even annual reports) or just better understand the information they are communicating to your investors, creditors, and bankers, there are many tools available to assist you. While it is a good idea to have a CPA look over your statements, it is also necessary for small business owners and general managers to intimately understand their content. Here, we provide four of the top financial statement software tools. There is a good chance you already have a powerful tool for preparing financial statements right at your fingertips. If you use Microsoft Office, you already have access to the spreadsheet program, Microsoft Excel. Spreadsheets are used to organize data in columns and rows, particularly numerical data such as monthly profit and loss information. Microsoft Excel offers hundreds of templates for customized reports, including financial statements. In addition, there are many templates that can be downloaded at no cost on Microsoft’s website. While Excel can be an excellent tool for preparing financial statements, users must already understand basic accounting concepts, such as the difference between short- and long-term assets, or how depreciation is calculated differently in the cash flow and income statements. In Excel, there are no fail-safe mechanisms when mistakes are made. NetSuite ERP, chosen as the best financial management solution, is a comprehensive accounting solution that provides end-to-end functionality, including customer and vendor contact information, marketing analyses, and, of course, instant financial statement generation. The major benefit of NetSuite is its one-stop shop feature, with no requirement for the user to understand how financial statements are prepared. Any eligible employee can access any of the financial statements from their mobile devices or desktops. In addition, financial statements can be customized to drill down to profit center or region. Perhaps the biggest drawback is the cost, which can range from $8,000-$15,000 per year for a company with just 10 employees. Adaptive Planning is an award-winning company that provides performance management software at the corporate, business, and enterprise level. The software includes flexible budgeting, forecasting, and benchmarking tools as well as attractive graphics and intuitive analytic observations. Managers can make swift decisions using data mining tools. The software creates all the major financial reports, including cash flow and income statements, plus budgeting and variance analysis tools to assist business managers in interpreting financial statements. Sage Intacct, chosen as the “only AICPA-preferred cloud-based financial software”, is a customizable software system that allows users to utilize its functions for the entire accounting cycle or for just one function, such as generating financial reports. Sage Intacct guarantees compliance with the latest U.S. and international accounting standards while also providing reports specifically geared toward your industry or business. Sage Intacct’s customizable software allows for flexible and real-time reporting and analysis. It is not a plug-in solution, however. Those who choose Sage Intacct’s software should expect to work closely with the company to configure the software to their own needs. 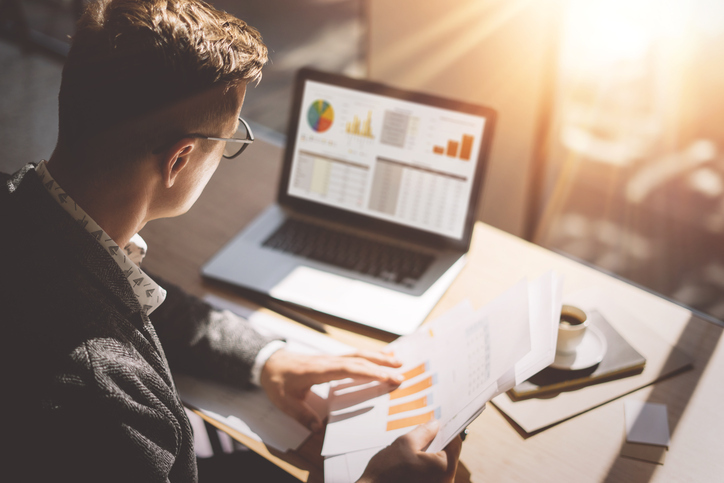 Choosing the right tool for financial statement preparation can reduce the time you spend on collecting and organizing financial data, so you can make quicker, more effective decisions using financial statements. Whether you prefer a tool ready for immediate use, or a customized configuration, the financial statement software tools above are known for innovative solutions that put the latest technology to practical use. Next Article Mint vs. Expensify – Which Money Management Tool Is Best For Business?